Our dedication to service impacts the lives of thousands in local communities. 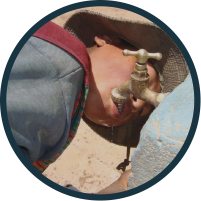 Thanks to our wonderful donors and volunteers, we’ve been able to improve health conditions in Bolivian communities through sustainable engineering projects. 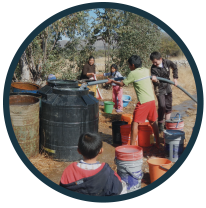 Our Bolivian staff translates indigenous community requests into engineering project proposals. We are looking for with volunteer engineer groups like Engineers in Action and generous donors to help meet these critical needs. Tacachia community leaders await irrigation improvements and a footbridge to improve their commerce routes. Do you know a volunteer engineering group interested in projects like this? Check out our long-term projects! We’d like to thank our engineer volunteers for donating their time and expertise, as well as our generous donors who made these crucial projects possible. Are you ready to make a difference? EIA welcomes volunteers, donors and partners to help us support these communities.